In dynastic China, conventional wisdom held that natural disasters that afflicted the people were sure signs that the emperor had lost the all-important "Mandate of Heaven." A better leader would have flown straight to the disaster zone and announced the immediate mobilization of every available resource to rescue the stranded, find and bury the dead, and keep the survivors fed, clothed, sheltered and free of disease. The cool, confident, intuitive leadership Bush exhibited in his first term, particularly in the months immediately following Sept. 11, 2001, has vanished. In its place is a diffident detachment unsuitable for the leader of a nation facing war, natural disaster and economic uncertainty. Click here for the entire editorial. 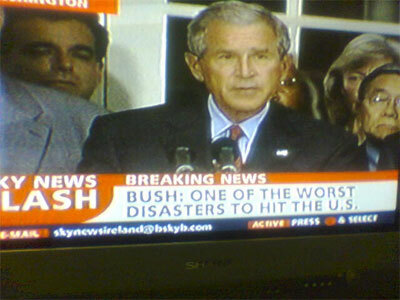 For a good overview of Bush's declining political fortunes, check out this analysis. The U.S. Senate approved $10.5 billion in emergency disaster relief for Katrina last night, and the House of Representatives is expected to approve the measure this morning. Republican National Committee chairman Ken Mehlman has other priorities in mind. In an e-mail he sent yesterday, Mehlman called on the Senate to eliminate the estate tax. And he urged his supporters to call their senators -- "today" -- to demand that they get on board with the plan. The message arrived in our in box at just about the same time Scott McClellan was pushing away criticism of the president by saying, "This is not the time for politics." In light of the failure of the federal government to plan for and respond to the natural disaster in the Gulf states, the failure of the Administration to send in enough troops to establish a secure Iraq, and the ballooning budget deficits, it strikes me as POSITIVELY UN-AMERICAN to argue for an abatement of the estate tax. The following arrived via email last night from a colleague. It's priceless! 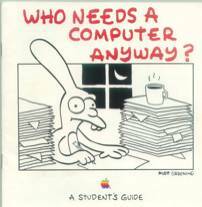 The first ten days of the school year have been typically frenetic, so this blog has suffered from a bit of neglect. I resolve to get back to a regular schedule of posting now, however. Q: What is George W. Bush's position on Roe v. Wade? A: He doesn't care how people get out of New Orleans. It's posted here. Check it out. I rejoined Netflix this week when the company made me an offer I couldn't refuse. I was a member a couple of years ago and was paying about $20 a month and basically never watching any of the DVDs. As a result of a pricing war, Netflix offered a special "come back to the fold" fee of only $7.99/month, which wooed me back. Hopefully I'll make better use of the service this time around. 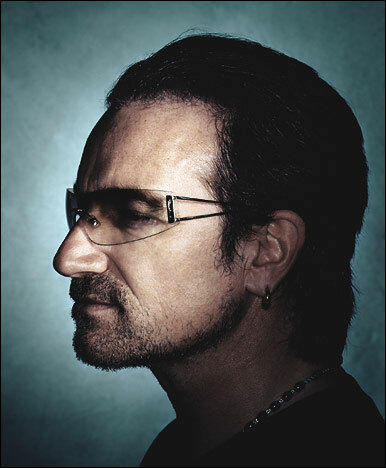 Today's magazine section of The New York Times has an excellent piece on U2 frontman and ambassador of the world Bono. John Roberts ought to be confirmed as the new Chief Justice of the United States. The liberal PACs and Democrats in the Senate ought to realize they do not--and should not--have veto power over a nominee who appears to be a bright, thoughtful jurist, even if he is conservative. He seems far from the narrowly ideological approach to law we get from the likes of Antonin Scalia. Moreover, as one who teaches a course in the history of the Supreme Court, I would hasten to remind the Senate that you can't really predict how a justice on the High Court is going to rule years down the road. Earl Warren and David Souter were huge disappointments to the conservatives who championed their nominations. So all the dissections of Justice Department memos that Roberts had a hand in drafting twenty years ago are attempts to decipher tea leaves that really are not worth reading. Confirm this guy and move on. If the nominee for the O'Connor seat is a reactionary ideologue, then oppose him/her by all means. But this guy is pretty unobjectionable in my estimation. 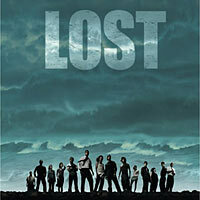 The season premiere of "Lost" on ABC was excellent, highlighted by an amazing opening sequence. Hopefully this show avoids a sophomore slump; if tonight was any indication, Season 2 will be a fun ride! If you haven't seen the show, I recommend you digest Season 1 on the recently released DVD set. The Bronx Bombers have recaptured first place in the A.L. East for the first time in months. They better damn well stay there! David Carr writes a media column Mondays in the The New York Times. Today's piece is a one that should not be missed. "A Story Better Told In Print"
NEW ORLEANS--LAST week at the Sheraton Hotel in downtown New Orleans, a mix of contractors, journalists and security people sat in the bar, reminiscing about Katrina and speculating about Rita, the storm of the moment. Hurricane coverage, for all of its discomforts, is a bit of a caper with beaucoup fringes. Reporters get to take over hotels, spend like pirates, drink like sailors and eat like truck drivers. Back at headquarters, things are grimmer. Last week, The New York Times, The Philadelphia Inquirer and The San Jose Mercury News all announced significant layoffs. But the impulse to cover the big story in a big way remains. I was part of the scrum, spending last week finding the few artists and musicians remaining in New Orleans. Covering the return of music and art to a city that continues to take on water would seem to be a luxury, but it is a gesture of good faith on the part of the people I work for. Then I saw the memo about job cuts and I worried that I was part of the problem. By their disposition, hurricanes are a television story: great pictures, an informational crawl at the bottom, and a wind-swept, rain-soaked anchor. But big papers like The Washington Post, The Chicago Tribune, The Wall Street Journal and The Los Angeles Times all dug in, sending dispatches out of New Orleans that shed light where there had been only heat. What exactly happened at the convention center? Is Mayor Ray Nagin a saint or a kook? Were the levees overtopped or undermined? Will New Orleans be a real city again, or just Disneyland with Jell-O shots? Those are not questions that get asked or answered much on television. The New Orleans story needed the big muscles of print journalism to gain custody of facts that seemed beyond comprehension. People could Google their way through the storm, but for a search engine to really work, you need women and men on the ground asking difficult questions and digging past the misinformation and panic that infect a big story. Newspapers are a civic good, especially right now, but they cannot function as a nonprofit. Make all the jokes you want about dead trees, a printed artifact that people pay to read and advertise in is an absolute necessity. On television, it always seems like Groundhog Day - get wet, rinse, repeat. 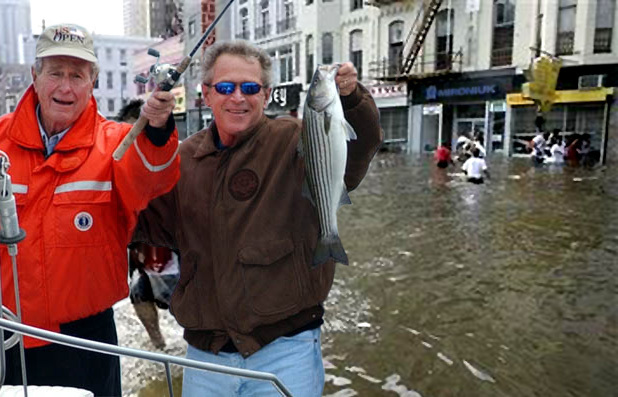 There is undeniably something compelling about Anderson Cooper standing in wind and rain in Galveston at 3 a.m. on Saturday as Rita blew ashore - "You feel very much at the edge of the world," he said, blinking against the rain - but that does not address the issues of governance, logistics, race and class that the hurricanes reveal. Those are stories newspapers tell well. BUT with department stores consolidating both their operations and their advertising and with readers canceling the newspapers that land on their doorstep in favor of more instant gratification on the Web, big newspapers full of deep reporting and serious ambitions seem like dinosaurs at the beginning of a very cold age. Sitting on one of the last planes out of New Orleans on Friday, waiting for a break in the weather to take off, I wanted to get off, to stay and participate. But there was a new hurricane, a large ugly one, coming and many big-name reporters and anchors to chase it. The rest of us were now officially off the ball, doing broom and dustpan patrol on the aftermath, filing stories that may never see print because of the new horrors - buses incinerating elderly passengers, poor people left behind again, and wholesale displacement - now meriting space and attention, and rightfully so. Unfortunately, New Orleans refused to recover in time for the satellite trucks to withdraw. Assurances that the mended levees would stay that way sounded hollow when they were proffered, and the storm surge and the rain took care of that straightaway. The trash that decorates the length of Magazine Street; the mix of Humvees and television trucks that occupy the neutral ground on Canal Street; the transformation of the Ninth Ward into a wetlands, all of it serving as a reminder that some big stories have no period, only ellipses. New Orleans will be a chronic, grinding story. The French Quarter, which has served as the television backdrop for so many stories, is empty, save the drunks and lunatics at Johnny White's, a bar that never closes. The rest of the Quarter is block after block of pitch black. Is this Bourbon Street or Royal Street? Which way is the hotel? Is my flashlight running out of batteries? On Wednesday night in the midst of the gloom, at St. Louis and Royal Streets, the shadow of a figure over a big kettle appeared. Finis Shelnutt, the owner of Kelsto Club, had cooked up a huge batch of jambalaya and had a cooler of cold beer to go with it. It was a hopeful gesture, not a commercial one. "I don't want your money," he said. "I just want to know what you think of the food. Right now, I need to give back, not take." A group of newspaper people - print journalists filing string that may or may not be used - nodded their assent. For the record, the jambalaya was incredibly spicy, with a burn that provided a shock, in a good way, to the ghosts and sleepwalkers who came by to eat. Katrina and Rita have tested news media endurance. Jaded reporters looking for a quick reaction from the citizens found out quickly that you should not ask a question unless you are ready for a long, thorough answer. A random query about the geography of a neighborhood or the prospects of recovery will often prompt a soliloquy, a yarn that begins with "the war of Yankee aggression" and ends with what someone had for dinner the night before. Television rarely has time for all that. They want the bite short and sweet, never mind when your grandfather first arrived here. The story here defines the long tail. Race, infrastructure, class, all those things that electronic media just can't do as well, have come to the fore. Never mind that school that was wiped out but never really worked in the first place, can we see that cool graphic about Rita's landfall? I spent Friday morning parsing the gas I had and then driving to the airport through blinding rain, trying to figure out how to make the reluctant wipers on the rental car work. After parachuting in for a few stories, it felt like time to get out. If I had an excuse, I would have stayed, because this story is worth staying close to. But that would be a hopeful gesture, not a commercial one. 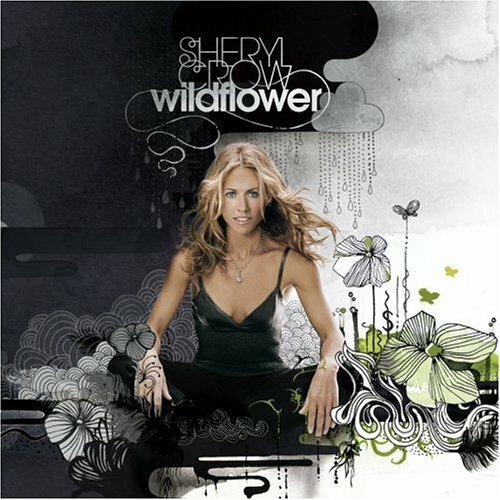 Sheryl Crow's new album, Wildflower, arrived via iTunes Music Store download this morning and it's very good. Thumbs up! Tonight at 8:00 there is a logjam of shows I want to watch: the season premieres of both Alias and Smallville in addition to the latest installment of The O.C. While it's not unusual that there have been two things of interest to me on the telly at the same time, I can't recall a three-way contest for my viewing attention. I saw Serenity tonight at the local multiplex. 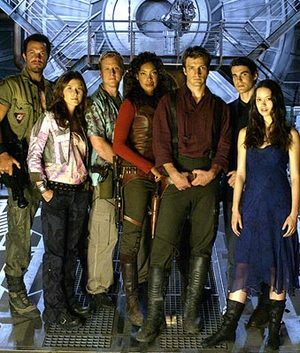 I was one of those who missed the film's antecedent television series Firefly (which was incredibly short-lived) when it aired, but I did watch the DVDs some time later, so I was familiar with the characters and setting of the film. But I don't think one had to be to enjoy this movie. Most critics have praised the writing and I would agree: this film blends drama, action, and special effects eye candy with considerable humor for a an enjoyable two hours of escapism. This page contains all entries posted to As Far As You Know in September 2005. They are listed from oldest to newest.